Austin Exploration Limited has announced that drilling has intersected a significant 790-foot column of oil in the Pierre formation at the company’s flagship Pathfinder project in Colorado. 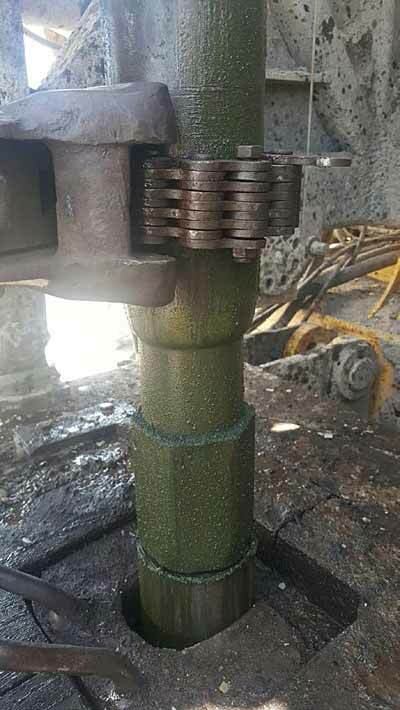 This was evidenced through both the drill cuttings and on the drill string which, when returned to surface, was saturated and dripping in crude oil. The crude oil has a green coloration which is the same colour/type of oil that has been evidenced in neighbouring oil fields, which have produced more than 15 million barrels of oil from the Pierre formation. Production facilities, which include a pump-jack, tank batteries and flow lines, have now been ordered and testing of the well will begin shortly to analyse its production capabilities. Austin plans test the well for approximately one month. The well has been named the Magellan #1 Well, which has been officially recorded with the Colorado Oil and Gas Conservation Commission.